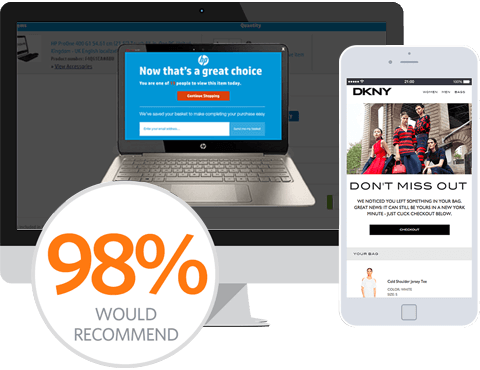 Venda’s next-generation, cloud based, ecommerce platform supports some of the world’s largest retailers to deliver a consistent brand image across online, mobile and in-store channels. The scalability and reliability of the Venda platform allows retailers to easily expand their business, whilst navigating the ever-evolving retail market with next-generation technology. Venda’s expertise, global partner network, international payment solutions, multi-currency, multi-language capabilities enable retailers to easily expand into new territories. SaleCycle can work side by side with Venda’s commerce platform. This means our clients know exactly when, where, and why customers abandon their carts, and what brings them back to complete their purchase. By bringing relevant content directly to your customers at the most impactful moments, we are able to provide clients with the highest opportunity to convert visitors into customers. By working with Venda SaleCycle are able to provide the most relevant content at the most relevant time within the customer joruney. Insightful data that allows clients to know where, and why customers complete their purchase. Access SaleCycle's data within the Venda platform.